We offer our clients cost-effective, flexible solutions through all manner of promotional and logistical support; we will help you to look after your customers the way we look after ours! Teamwork Handling Limited is a full services response and fulfilment company specialising in the fields of Direct Mail, Salesforce Support, Storage and Fulfilment (including pharmaceuticals) and Web-shop fulfilment. Teamwork Handling offers the sort of flexibility which ensures that clients’ needs are serviced completely, it is this dedication to service which has seen us retain clients for 10 years and more. Being licensed by the Medicines and Healthcare products Regulatory Agency (MHRA) to store and despatch GSL, Pharmacy and Prescription Only Medicines means that we are regularly audited against stringent quality assurance criteria. 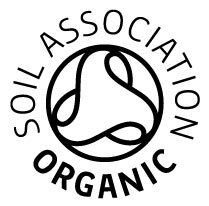 We are also certified by the Soil Association to offer storage and fulfilment for Organic products. Allow us to support you and in return we guarantee efficient and friendly service from a company with over twenty years experience of putting the customer first. We have built our reputation on flexibility of service so, whilst we specialise in the services listed below, we are able to vary our solutions to ensure we always meet our customers requirements. In essence Teamwork Handling will try to offer our clients cost-effective and flexible solutions through all manner of promotional and logistical support; we will help you to look after your customers the way we look after ours! Privacy Statement © UNITEL DIRECT LTD 2016, ALL RIGHTS RESERVED. FIND A BUSINESS ON THE TRADE FINDER OR THE BUSINESS INTERNET FINDER.